At first blush, two key areas of growth in beer these days may not operate as separately as they seem. Drinkers still can’t seem to get enough hops. They also continue to gravitate toward locally made beer. Both interests underscore freshness, encouraging more beer drinkers to think about it, value it and seek it out. That’s easy to view positively: Raising the stakes on freshness is in the interest of delicious beer. But the way it’s manifesting itself throws a couple of monkey wrenches into the current American beer business. It all starts with hops. Drinker fascination with them and the way their flavor and aroma contributions can fade post-production are both well-worn topics at this point. The rise of super-hip, sub-style du jour, the so-called Northeast-style IPA, in all its hyped-up haziness, takes this even further. Brewers making a name for themselves and the style simultaneously often sell most of it right at their breweries so that almost all of the beer is consumed incredibly fresh, within a short distance of where it was made. They’re not necessarily easy beers for all breweries to fit into their business models, however. As summer ended, I spoke with folks at a relatively large East Coast brewery while sipping a test batch of their attempt at the Northeast IPA. While the brewery packages and distributes much of its beer, it hadn’t quite cracked that nut for this beer yet. It just didn’t taste the same after 30 days, they told me. That poses practical concerns for beers expected to move through distribution channels and sit on shelves waiting to be bought. But when they’re sold directly to consumers at small, locally focused breweries, those concerns dissipate. And increased interest in both this style of beer and drinking local generally provides a competitive advantage to these smaller breweries that can supply uber-fresh, heavily hopped beers right on site. Ones that do it well garner crowds and lines at their taprooms and the few accounts to which they self-distribute. It’s the kind of excitement Greg Doroski, co-owner of Threes Brewing, noted during a panel discussion about brewing in his company’s hometown of Brooklyn, New York. “Why the heck would you buy an IPA made on the West Coast,” he asked, when breweries like nearby Other Half make such high-quality IPAs? The guys at Other Half are “canning their IPA on Thursday and Friday, and it’s sold out on Saturday,” he said. Part of his point was about shipping logistics: Compare the time it takes to simply get a beer from California to New York with moving a keg from cold storage to the tasting room. The point’s well taken. Of course, plenty of breweries do amazing jobs working with distributors and retailers to keep beers, including very delicate, hop-forward ones, tasting brewery-fresh even after traveling long distances or waiting multiple months to be consumed. But many of us still see rows of IPAs on room-temperature shelves and probably even buy some, even when their labels insist they be kept refrigerated. The freshness imperative seems to be picking up real steam in places like San Diego, which has been hop-obsessed and rife with local breweries for a lot longer than Brooklyn. At the California Craft Beer Summit, some San Diego brewers explained this relatively new focus of local beer drinkers: “What just tapped?” they’ll ask beer servers. Bar owners won’t accept kegs of IPAs that are still in code but are more than 30 days old, Tomme Arthur, owner of Port Brewing/Lost Abbey, said from the stage at the same event. “That’s scary,” he said, and perhaps taking it a bit too far. But he also commented separately that he’ll “lose sleep over being relevant.” He knows his brewers “make phenomenal beer,” but “being relevant is enormously challenging these days” in far-away markets where homegrown breweries also make high-quality beer. It’s the opposite perspective of the same basic point made in Brooklyn a month later: Local breweries pose a threat to nonlocal breweries, as Doroski put it. There are clearly many ways to establish relevance beyond appealing to localism. Retail data on the craft segment bears out this shift to IPAs and ever-smaller brewers. The smallest breweries still report very strong growth. But in 2016, many of the largest craft brewers can’t keep up and are losing sales in earnest to smaller competitors, slowing the segment’s overall growth. This all comes with a set of consequences the industry is just beginning to face. One of them is the difficulty of tracking the shift of volume away from large brewers, the distribution tier and retailers that report sales. Clearly, this shift increasingly raises questions from the very many people who depend on beer moving through that three-tiered system. Some will make economic arguments against it. Those arguments will struggle to factor in qualitative changes in consumer sentiment that go hand-in-hand with valuing fresh local beer. However, recall that the system was created as a remedy to the ills seen before and during Prohibition. 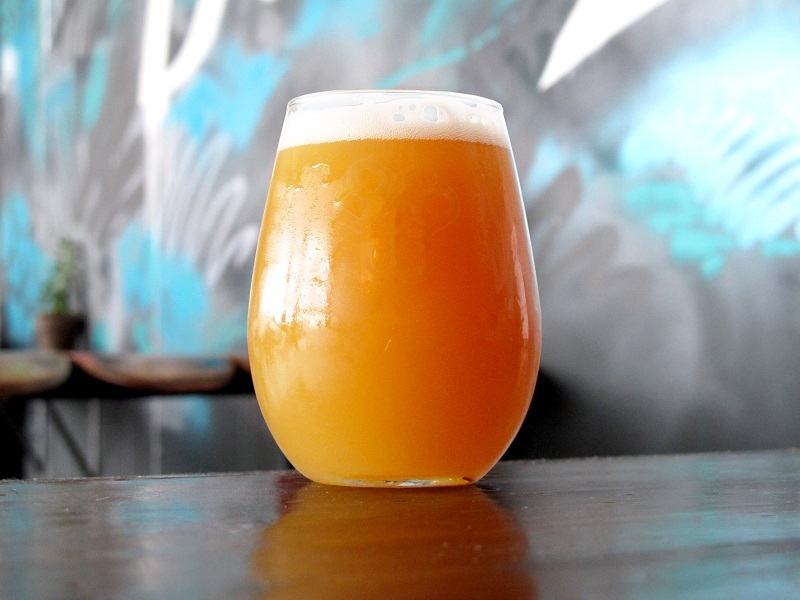 So the specter of those ills still haunts this shift, causing some industry members to tread lightly, even as some beer lovers stampede toward the juiciest, haziest, freshest IPA they can get their hands on. It is a way to get around the lack of understanding as to why such hoppy beers are turning way-too hazy these days and with such matter in solution gives further credence to the fact that a good old Burtonized IPA (with high sulfates)is an excellent laxative. I’d like the experiment to be done to time trips to the bathroom with such hazy vs. non-hazy IPAs. Can you stay POOR colloidal stability!